For any person needing medical care, informed consent is vital. Yet for transgender people, informed consent may be hindered by how medical professionals share information. This is especially the case in the context of reproductive health, where speaking about reproductive materials is often highly gendered. Both the World Professional Association for Transgender Health Standards of Care and the Royal Children’s Hospital’s Standards of Care and Treatment Guidelines for Trans and Gender Diverse Children and Adolescents emphasise the importance of discussing fertility preservation as an option for transgender people. Yet little guidance is given on how to do so in ways that are inclusive. How medical professionals share information about fertility preservation can be distressing for some transgender people. This is because the terms typically used may be seen as referencing gender. Sperm are typically associated with men. Eggs are typically associated with women. 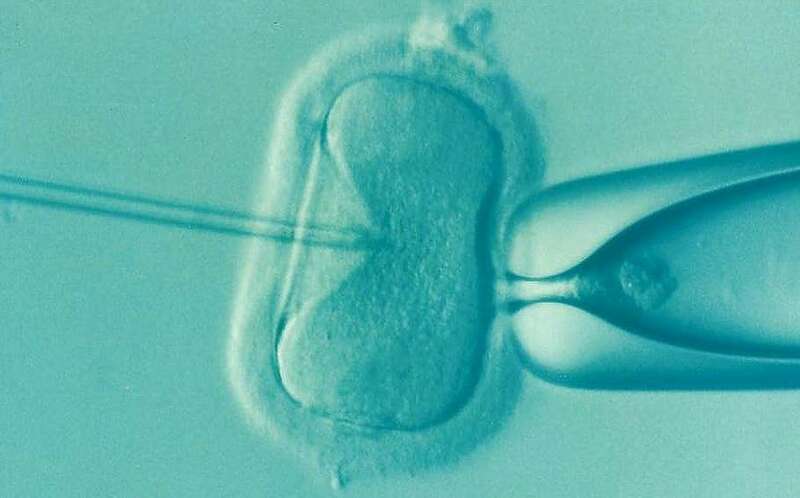 For women who produce sperm, or men who produce eggs, these terms can be distressing. Such distress can mean disengagement from information. Further compounding issues of terminology are assumptions about people’s desire to reproduce. In countries such as Australia, population growth is considered important. This places an expectation on all people to reproduce. This is especially true for people who are assigned female at birth. As a result, transgender men in particular may feel pressured to preserve their fertility. In our recent study of Australian transgender and non-binary people and fertility preservation, some of our trans masculine participants reported they had been told, in essence, that “if you have a uterus, you should want to use it”. Certainly growing numbers of transgender men are bearing children. It is heartening that Medicare now treats pregnancy and birth-related items as non-gender-specific. But this does not mean that all men want to bear children, nor that they should be expected to do so. Some of our participants also reported that medical professionals insisted they preserve their fertility. This was an especially concerning form of gatekeeping. Gatekeeping occurs when access to medical care is restricted to transgender people who conform to a standard narrative of what it means to be transgender. In our work on sexuality education for transgender young people, we highlighted the importance of gender-neutral language. We suggested that speaking about gametes, rather than sperm and eggs, is one way of ensuring that transgender young people do not experience distress. This does not prevent making distinctions between different types of gametes, and how they come together in the process of conception. In the context of fertility preservation, it is also possible to speak about gametes or reproductive organs. As noted above, it is also important not to presume that all people want to reproduce. Many of our participants reported that, should they wish to become parents in the future, they might do so through adoption or foster care. Discussions about fertility preservation are important for any person whose fertility may be compromised by particular forms of medical care. But this does not mean that agreeing to fertility preservation should be mandatory in order to access particular forms of medical care. Particular care is indicated with regard to young people. Parents of transgender children may hope to have grandchildren. They may encourage a young person to preserve fertility when that is not necessarily the young person’s desire. For young children unable to give consent, medical professionals should ensure that the family receives adequate counselling prior to a decision being made so as to ensure that children’s voices are heard. The area of fertility preservation represents an important aspect of reproductive rights for transgender people. Transgender people should absolutely have the right to undertake fertility preservation. This should be provided in a timely and affordable manner, mindful of how informed consent may be undermined if medical professionals do not approach the topic in an inclusive way. At the same time, however, assumptions are not helpful. It should not be assumed that all transgender people want to preserve their fertility. It should also not be assumed that all transgender people want to access forms of medical care that might negatively impact their fertility (i.e., not all transgender people will wish to commence hormone therapies or undertake gender affirming surgeries). Conversely, it is important to acknowledge that some transgender people might experience infertility unrelated to gender transition, and may wish to access reproductive services – as is true for any person who experiences infertility. For transgender people who do choose to have children, their rights as parents must be protected. This includes as a society challenging the discrimination that many transgender parents face. More broadly, ensuring transgender people’s reproductive rights must include access to services related to reproductive health (such as pap smears for transgender men), and access to abortion services. Transgender communities are diverse, and there is no one right outcome for medical care other than ensuring that the individual’s needs are met. Medical professionals must acknowledge the diverse desires and needs of transgender people. This means opening up conversations about reproduction, but also respecting when people do not wish to reproduce. Damien Riggs is Associate Professor in Social Work, Australian Research Council Future Fellow, Flinders University. The author is presenting Futurity and fertility in transgender people’s lives at the 2018 Adelaide Festival of Ideas, Sunday 15 July 2018. Entry is free.